It’s really not much of a spoiler now to say the Nvidia RTX 2080 Ti is the fastest GeForce graphics card on the planet right now. If it wasn’t there’d be villagers with flaming torches and pitchforks all the way up Walsh Avenue to Nvidia’s Santa Clara HQ. 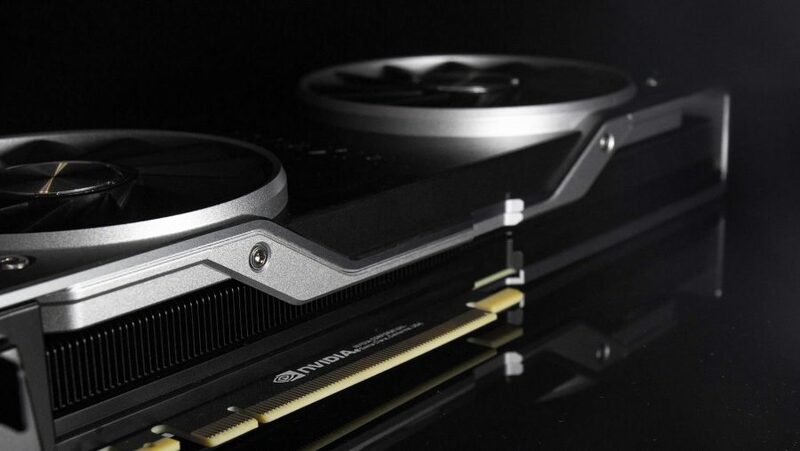 It’s lucky then that the GeForce RTX 2080 Ti is a beautiful piece of silicon and technical engineering, both in the design of the Turing GPU itself as well as the physical Founders Edition card. But it’s been knocked into second place in the Turing hierarchy thanks to the imminent release of the Nvidia Titan RTX. 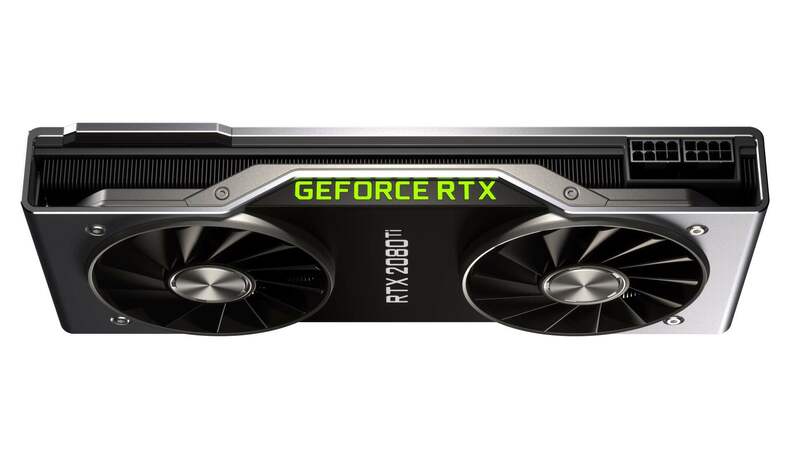 That’s not a GeForce GPU though, so it hardly counts… Though if you’re looking for any kind of value judgement for this supremely expensive GPU there it is – the $1,200 RTX 2080 Ti won’t be far short of the $2,500 Titan RTX. Though if you are looking for a value judgement on a $1,200 graphics card then you’re honestly looking in the wrong place. We’ve already checked out the second-tier GeForce card in our Nvidia RTX 2080 review, a pixel-pusher that just about manages to justify itself as an upgrade to the GTX 1080 Ti it’s ostensibly priced against, but the RTX 2080 Ti is another level up again. So the RTX 2080 Ti is a standalone monster of a gaming GPU. A graphics processing powerhouse that is designed as the standard bearer for 4K PC gaming and the foundation for all the work that Microsoft and Nvidia have done to bring real-time ray tracing and AI-powered gaming to the desktop. Sure, it’s an aspirational card that few of us will ever be able to afford. But think of it like a preview of the sort of power that you’ll be able to find in a far more mainstream GPU of the next generation of graphics cards. That may be cold comfort at this, the start of the Turing generation, but fingers crossed we don’t have to wait as long for its successor. The top-spec GeForce RTX graphics card comes bearing the TU102 GPU at its heart. It’s the same graphics silicon which powers Nvidia’s $10,000 Quadro cards – another note in the unnecessary value column there – albeit with a few SMs lopped off. So yes, this isn’t the full-fat version of the TU102, but with 68 SMs (four fewer than the complete Quadro GPU) and 4,352 CUDA cores it’s not exactly a featherweight chip. In fact it’s a definite heavyweight in the GPU silicon world, with 18.6 billion 12nm transistors packed into its massive 754mm2 footprint. That’s a monster chip, and more than twice the size of the GTX 1080’s GPU. Alongside the graphics processor itself is 11GB of brand new GDDR6 memory, running at 14Gbps across a 352-bit aggregated memory bus. That enables it to deliver 616GB/s of memory bandwidth, again almost twice that of the GTX 1080. The Founders Edition cards are overclocked versions this time around, and so come with slightly higher boost clocks than the reference models. We’re talking about only by around 90MHz, but they’re also the finest versions of the Turing silicon to come out of the factories, so they’ll have even more overclocking headroom to offer. The new Turing GPU architecture is an impressive feat of technical engineering, check out our full breakdown of what makes it tick. Of course, as an RTX graphics card it’s got to have some RTX silicon inside it, and so the RTX 2080 Ti has 68 RT Cores, and 544 AI-focused Tensor Cores. It’s the highest-spec consumer chip built for the rigours of real-time ray tracing and the awesome potential of using AI processing to make our games look better, run faster, and feel far more realistic. I for one welcome our new robot overlords, especially if they can make my games look super-pretty. And hell, they can hook me up as a battery if they can also give me genuine AI in my beloved Football Manager. Sadly none of that is going to be used at launch. We’ll have to wait for Microsoft to drop the October Windows update before we can enjoy real-time ray tracing in games, likely kicking off with Shadow of the Tomb Raider’s shadows, and for developers to get the AI-powered Deep Learning Super Sampling into games. That’s not tied into the Windows update, so could happen before October, potentially with Final Fantasy XV first to the punch. This RTX 2080 Ti Founders Edition uses the same almost unibody shroud design as the RTX 2080 Founders Edition we’ve already tested. And it’s just as good here on the Ti version. It’s a monstrously weighty card, thanks to the twin axial fans and full-length heat exchanger below them, but the design of the rigid shroud ensure that all the weight is on the bracket, and therefore the chassis. That means there’s no danger of it warping your PCIe slot and messing up your motherboard. If you want to sell both kidneys, however, you can always buy a second RTX 2080 Ti and hook them up NVLink. It’s the same high-bandwidth link Nvidia has been utilising on its professional cards, ported down to the consumer space. NVLink is kinda like SLI on steroids, only it isn’t. It’s a peer-to-peer link with 100GB/s of potential bandwidth hopefully ushering in a new age of multi-GPU cooperation. Though maybe not for a while… a familiar theme with this nascent Turing generation. The gaming prowess of the RTX 2080 Ti is almost unmatched. I have to say ‘almost’ because down at the 1080p level some games are starting to top-out and you struggle to squeeze any more juice out of them with anything above a GTX 1080 Ti. But if you’re buying an RTX 2080 Ti to pair with a 1080p monitor, then I salute you and your apparent taste for absurdity. It’s 4K gaming where the 2080 Ti makes its stand, and it’s a pretty spectacular one. Only one game from our benchmarking suite struggles to get near the 60fps mark at 4K Ultra settings, and that’s Deus Ex: Mankind Divided. Seriously, when we see a GPU that can deliver on that promise then it really will be the herald of a new dawn in graphics card performance – it’s a hog. 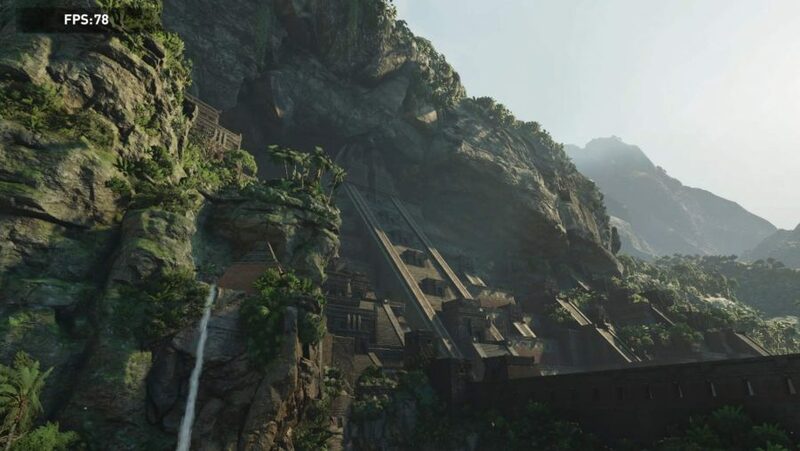 The Shadow of the Tomb Raider test also has the average frame rate coming in below 60fps, but only by a modest three frames per second. So, I think we can almost forgive that. Everything else is far enough above that you can be confident in getting stable performance across the board. The lead is still there at 1440p, but to a lesser extent. This card really has been built for 4K gaming. Though, that said, it’s unlikely that you’re going to be hitting such heights when the likes of Battlefield 5 and Shadow of the Tomb Raider enable their respective takes on real-time ray tracing. A more modest 1080p 60fps target is what we’ve been led to believe is realistic on that front… though Nvidia has intimated it’s hoping to push for 1440p. 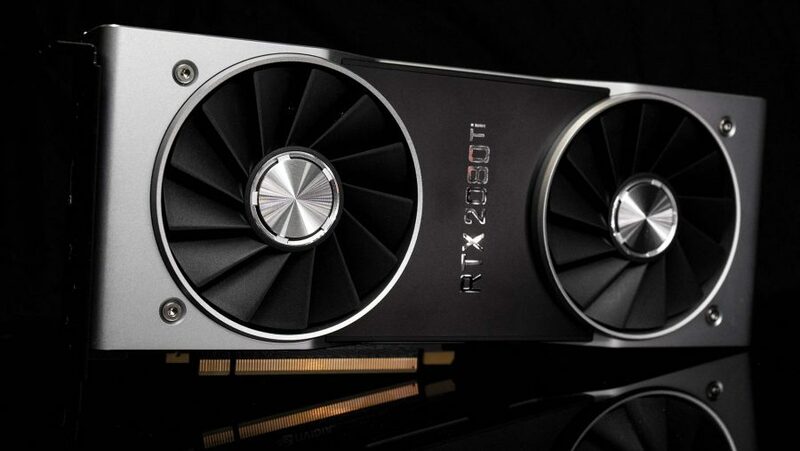 The RTX 2080 Ti is the Turing generation’s Titan in all but name. 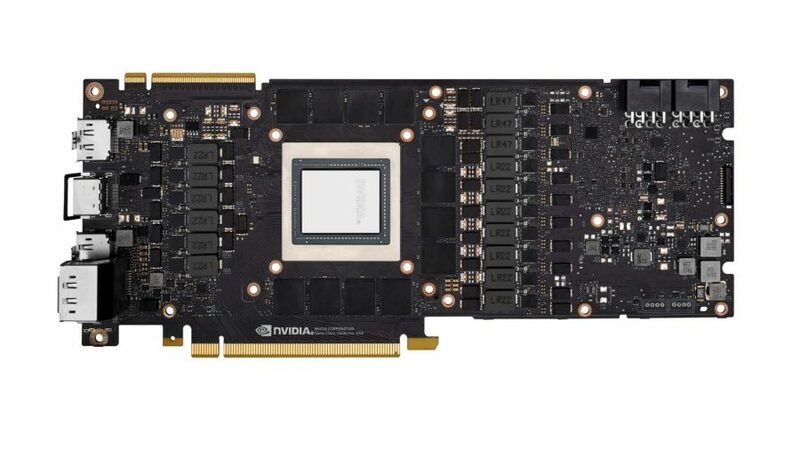 Sure, Nvidia is now set to release a Titan RTX, sporting the full TU102 GPU, with 72 SMs and 4,608 CUDA cores, but that’s prohibitively expensive. More than twice the price for maybe 10% higher frame rates? No thanks. It’s a high-priced GPU designed for people who haven’t checked their bank balance in years (and not just because they’re terrified of what they’ll find), and for those who just want the absolute best gaming performance around. It’s borderline obscene – in the same way that all of Nvidia’s ultra-enthusiast cards have been – and I can’t help but love its bravado. This Founders Edition especially feels like serious hardware, far more grown up than the previous 10-series shrouds. I loved the look of the RTX 2080, and still love the clean, restrained design of the practically identical RTX 2080 Ti. Sure, I’d love to have it come in at the same price as the previous generation’s GTX 1080 Ti, but I don’t think that was ever likely. The fact there’s zero AMD competition for it certainly plays into Nvidia’s thinking, but it’s also sporting a 754mm2 chunk of essentially professional graphics silicon, as well as the new and expensive GDDR6 memory. 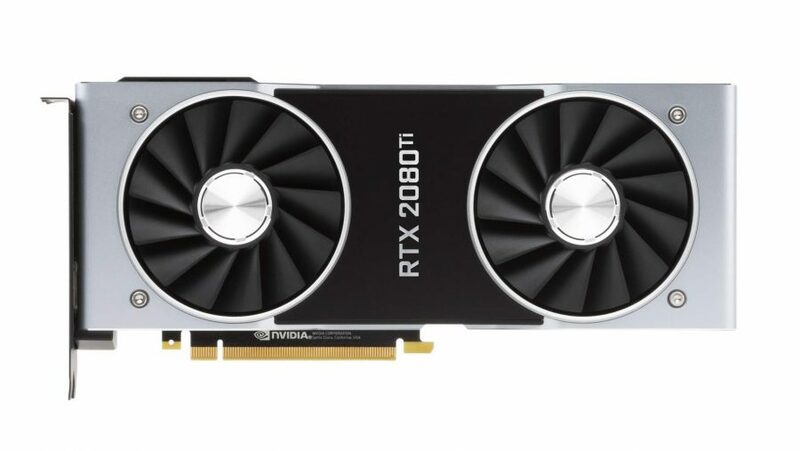 This is not a graphics card that is going to be cheap to design or manufacture, and that follows a lot of what we’ve heard from manufacturers and their prospective margins on the new RTX cards. But this really feels like an inflection point. I know a lot of people are railing against the idea of using ray tracing to make our games look prettier, as though it’s just some sort of gimmick, but this is only the start. Having the ray traced Star Wars Epic demo rendering on a single GPU on our test bench, where it needed hundreds of thousands of dollars worth of graphics cards just six months ago, is inspiring. And the time I’ve spent with the RTX version of Battlefield 5 gives me confidence it’s not just a gimmick. But there are a host of other rendering features baked into the Turing silicon which could also revolutionise graphics, and even the virtually dormant world of virtual reality, going forward. Sure, without console support it might be tricky to push across all games, but this had to happen sometime. There had to be a starting point for moving things forward, for both getting ray tracing in games and starting to utilise the AI silicon that’s been solving image problems at a data centre level for years. 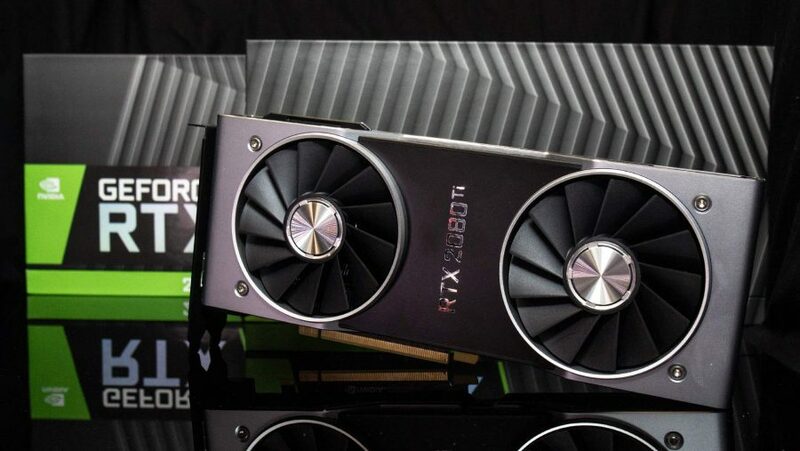 And while these new RTX cards aren’t going to be the physical GPUs which will show the best examples of that tech, they will be the progenitors of the hardware that eventually does. Where it was hard to recommend the RTX 2080 for it’s modest performance lead over the GTX 1080 Ti, and the fact its headline features weren’t going to arrive for a while, the RTX 2080 Ti doesn’t really have that. It’s fast enough at traditional game rendering that it does feel like a genuine next generation graphics card. And all the ray tracing and AI stuff just feels like a set of accurately rendered cherries on top. But this isn’t a card for you or me; nobody’s reading a review to see if they want to buy the RTX 2080 Ti. If the spare cash is already floating around in your bank account then the card arguably sells itself. Nothing Nvidia or AMD will do in the next year is going to significantly better the performance of the RTX 2080 Ti, and what it offers is only going to get more tantalising. So if you want the best Nvidia has made you an ultra-enthusiast card to fit the bill, and the Founders Edition, this time around, is arguably the most impressive of those on offer. 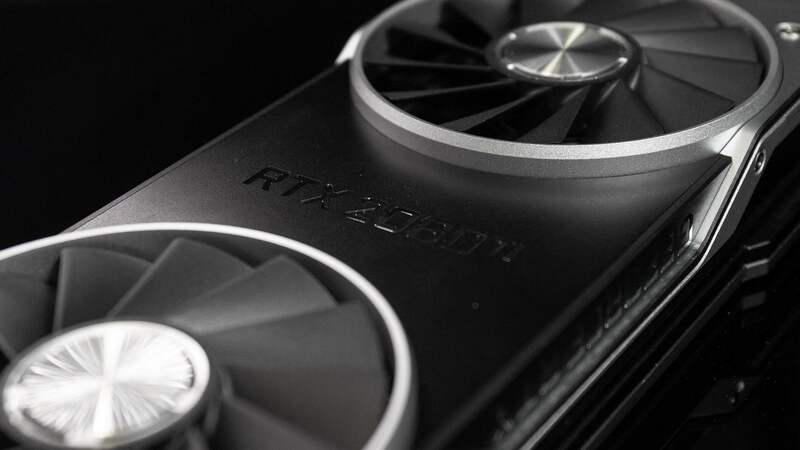 The money-no-object, ultra-enthusiast shine might have been taken off by the Titan RTX, but the RTX 2080 Ti is still the fastest gaming graphics card on the planet. It's more expensive than most peoples' entire PCs, but it's got the performance chops to back it up... and there's still a lot more to come from it and the Turing architecture.